If you’re headed to Las Vegas to attend Affiliate Summit West 2011, why not extend your stay one more day to take in Influence People’s Social Media Marketing 2011 event too? Early bird tickets to this premiere event are only $95 but they are limited in quantity so if you want one buy early. As I write this there are only 14 left at that price. NEW: Save 10% on any level pass to Affiliate Summit with discount code ASW11GROW10. Save an additional 10% with discount code iem7. Whether you are an affiliate marketer or a merchant who has an affiliate marketing program, the faster you get up to speed on using, measuring and monitoring Social Media the greater your advantage. The recent Smart Brief Summis Limited survey on Social Media Trends profiled by Social Media Examiner showed that it takes most companies two years to feel confident their social media activities are effective. The faster you get Social Media working for you the weaker the competition will be. Don’t wait – learn now! While using Twitter or Facebook may seem simple, using it effectively is not. You can get some insights into what I mean by that by reading what separates veteran social media users from rookies at SmartBlog on Social Media. Instead of reinventing the wheel it just makes sense to find out what is already known about what works and what doesn’t. That is what these events share. If you’re already heading to Las Vegas this is the perfect opportunity to save 10% using discount code iem7 or snap up Early Bird Tickets to Social Media Marketing Las Vegas and get on the fast track to increased visibility, traffic, sales and leads from Social Media. I was thinking about attending one of these events. I’m new to these issues and I could get some good knowledge about social media marketing. Thanks for the information. I did not know that there were discounts for these events. Did you go yourself Gail? As I read somewhere that “no one” has ever met you in person. Which I find very intriguing. I would love to attend this great summit,I want to meet people who are successful in their career and ask advices that will help a person succeed. And thank for this post many marketers will acknowledge this summit for their questions that needed to be answered.So good luck to you all! I got a silver pass to the Affiliate Summit 2011 in Vegas which I won’t be using. Please contact me if you’re interested. HongKong be nice too. Hope your trip was safe! I heard the summit was great. Did everyone enjoy themselves? It is true. And thank you very much. Bird ticket price is really cheap. You have a very powerful cast of speakers. This event is going to be very exciting for everyone around here. 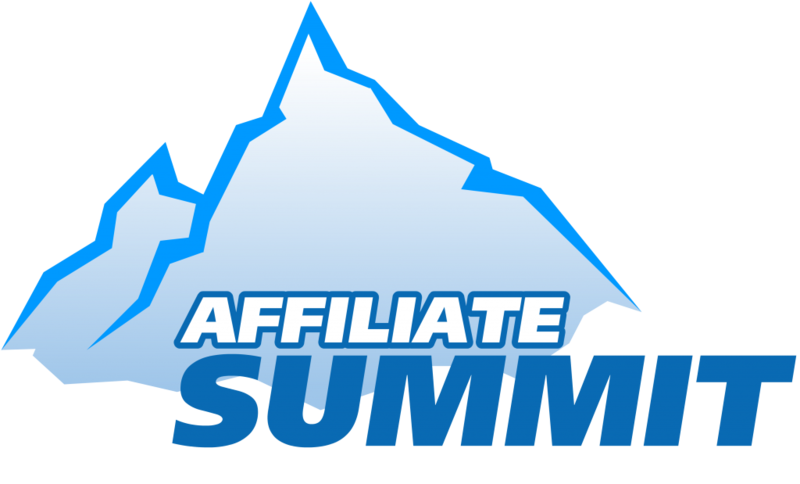 Thanks for the tip about the affiliate summit discount, I have updated the codes for others. true. bird ticket price is cheaper than purchasing tickets on the day of implementation. This sound really interesting! But how can I get the ticket, I’m too far away from your place! I don’t think I can come, what should I do. I’m also planning to attend Affiliate Summit People’s Social Media Marketing but I’m a little low on budget. Could you advise some good hotels which are affordable but decent? Last time I went to Vegas for a summit I almost spent a few months salary for 3 days there. Try going to local.yahoo.com and typing in Bed and Breakfast, motels, hotels. Read the reviews to see which ones are decent on a budget. The other thing you might consider is whether you know anyone online who lives there that might be interested in a house guest. Thank you very much! I’m planning to visit Affiliate Summit and now I’ll definetly stay in Las Vegas for several days more. Marketing is my passion and I won’t miss it! This l0oks like a superb event for affiliate’s, I will have to make an appearence one year. GrowMap thanks for listing the major players who will be at the affiliate summit. We have a good coupon for the Las Vegas event and I am happy to share it with your readers. I have been told by Affiliate Summit representatives that the 20% discount code you listed is not a valid code for regular attendees; it was intended only for exhibitors, but the other one may be. I now have a code too: ASW11GROW10 is good for 10% off any pass type. Afffiliate Summit would be the fastest way to learn about Affiliate Marketing and meet those who could benefit you when you start your own affiliate program. I am definitely going to make it to the Affiliate Summit in January. I missed it earlier this year and told myself I was going to make it out to the next one. I haven’t heard of the Social Media Marketing event, but social media marketing is definitely something I want to learn more about so I will try to see what that one is about while I’m out there in Las Vegas. I will have to check my funds first though because $95 seems a little pricey right now. I can tell it’s going to be a great event by just looking at the speakers. I don’t know why but this event is the least expensive of all the events I’ve seen from Influence People. Early Bird tickets for these events are usually $145 – not $95. You can save 10% off that with the discount code and if that still isn’t enough there are several bloggers who will be hosting a contest to give away a free ticket. More details on that in this blog tomorrow. What do you usually do in affiliate summit? Is this a convention or a camp-based activity? I am interested to join. I hope you will discuss social marketing during the summit cause I really want to learn more about it. Thank you. Affiliate Summit is huge and has been around a long time so you can find much information online about it. It is the largest affiliate related conference with tons of sponsors and exhibitors plus presentations. To get a better idea you might read What is Affiliate Summit or watch this last Affiliate Summit East Video. If you decide to go to the summit and your interest is in Social Media then definitely stay for Social Media Marketing 2011 event. Use the discount code in this post to save 10% on your tickets – and buy right away while there are still really low-priced Early Bird Tickets available. Thanks for sharing information. Its of great help in making my mind. You’re welcome. If you have any questions I am happy to answer them. Anything I may not know I can find out from others. I just might do this. If you do be sure to seek out Murray Newlands and Heather in BC at both events and Kristi Hines at Affiliate Summit. Each of those links has their photos on it so they’ll be easier to find at the events. Who else is going? Feel free to post which event(s) you’ll be at and if you have a photo you would like to link you can add it either CommentLuv OR the body of your comment. If your comment doesn’t appear right away it went to moderation and I will approve it as soon as I see it.